Eliza Hull has released ‘How We Disappeared’ an EP of emotion and change. Single “Hard Way” is not only one of the most driven tunes of the last year, but also measured in dealing. Personally, past releases of Hull have got me to look at life from a different perspective and when played on the radio listeners embraced their tunes with great praise. Feature chat – in this episode – covers tracks off the new EP (that was not out at time of recording) and so much more. From the archives, snap-shot of a chat with Lawrence Mooney – the comedian – about music in his life. In 2019, he will host a new breakfast show – Moonman in the Morning. While continuing to tour his stand-up and – just maybe – giving his take while doing so of the now former Australian Prime Minister Malcolm Bligh Turnbull. ….will be part of Bendigo Autumn Music line-up – April 2019 – which also includes our Episode 004 guest Xani (solo & as Twoks) to. 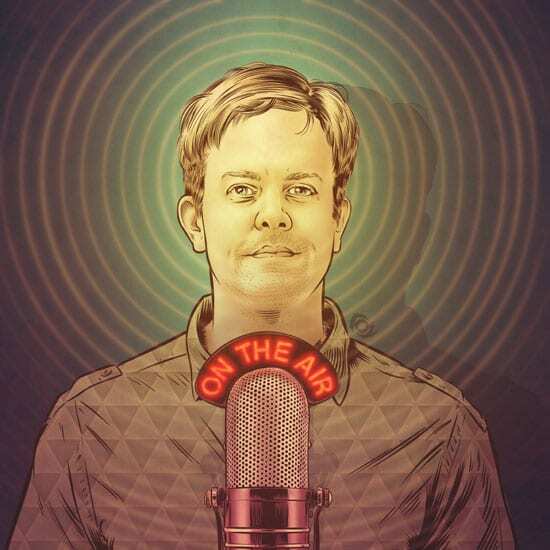 John Murch: Eliza Hull, welcome to radionotes. Eliza Hull: Thank you for having me. John Murch: A number of singles have been released off an EP, which was released back in September called How We Disappeared. I’ll get to the we and the disappeared and the how of that question a little later in the piece. But, before I do so, you’re a musician who started the music the age of five, you started writing at 13, your first gig was at 14 and then you decided to move to Melbourne at 18. I believe at that point decided music would be it. Eliza Hull: It was a complete accident that I started singing, so as you said, started when I was five years old, but it was kinf of this fluke accident where I was walking down the corridor in primary school, and one of the other students had pulled out from the singing competition, the local singing competition in Albury Wodonga where I grew up. The teacher just yelled out, “Eliza, Eliza would you come and fill in, please?” I guess she knew that I was a pretty extroverted, confident kid and was like, “Yeah, I’ll do it,” and ended up winning a gold medal, which is kind of funny in looking back now. Yeah, that was the beginning and then I just loved it. I loved performing. Eliza Hull: Given a piano as a teenager by a lady who passed away, and she left that for me. I just sat there, and really it was just a way to get out kind of what I was feeling. You know how we all go through teenage heartbreak and dealing with growing up and used it as a bit of an outlet, and I guess I have for the rest of the life. John Murch: Were you also given some music at the same time, some sheet music or some other little knicks and knacks that came with the piano? Eliza Hull: Mmmm… I’m trying to think. No, I don’t think I was. I think it really was just the piano. But I was learning how to play and going to lessons. I had a couple of singing lessons, but didn’t really love it. I think the theory of music has been a love-hate relationship with me. Probably now I’m more appreciating that and learning more, but back then I was probably a bit rebellious, which I regret, and just want to really just write lyrics that I was feeling at the time, and play by ear. I wasn’t really reading music back then. A little bit, but more later in life I’ve gone back to it and realized the importance of that. John Murch: Do you feel that the rebelling wasn’t worthwhile? Eliza Hull: No, it wasn’t worthwhile. I wish I had of just, I guess listened to mom. Dare I say that? She always said, “Just keep learning and go to your lessons.” Yeah, I don’t know why. I guess it was just, to be honest, the theory made it a bit stale. I was all about the emotion and all about getting out that kind of raw feelings. At that time I wasn’t about learning what music, the theory behind it, whereas now I am. John Murch: Writing music at 13 and, a year later, that first gig. Can you talk us through that first gig? Eliza Hull: Yes. The first gig was in Albury and it was for a youth festival. I think it was just that first time of realizing, “This is really for me,” and I feel at home on stage. You still get nervous before going on, but when you’re on stage and you’re just in the moment, and you’re just giving it all you’ve got it was like, “Okay, this is where I belong.” And just the audience reaction and it’s like you’ve given so much of yourself you’ve become empty, which is a really nice feeling. It’s a strange thing to say, but yeah, you feel kind of emptied, like you’ve given your emotion, you’ve given your feelings and that’s quite a nice, peaceful feeling after falling. John Murch: Does that give you an avenue to rebuild yourself after our performance? Eliza Hull: Yeah, yeah I guess. Yeah. I think after the performance it takes a little while to recover. As I said, you feel empty and tired, and then you start to rebuild, and then you just get hungry again to go on stage. But often, like this sounds odd as well, but often before I’m about to go on stage I often think, “Why am I doing this to myself? It is so nerve-wracking, I just feel like I want to go home and go to bed, and go and crawl into my little safe spot. Then I often get on stage and that’s when it’s like, “Okay, this is why I do it,” and then you realise that that’s … It’s quite addictive really. John Murch: You’ve supported the likes of Katie Noonan, Mia Dyson and some other fabulous performers who put their heart every time on the line. Has that brought some inspiration or some guidance on why you might actually do that every time? Eliza Hull: Yeah, they’re incredible performers and they’re so vulnerable on stage. The last time I supported Katie Noonan I watched the way that she interacted with her audience and I got really inspired, actually, because it was heartfelt lyrics and it is emotional, but then in between her songs she just became your friend. Started talking and telling you about the songs, and yeah, I really liked that personable approach in between songs where you really get to know the person. John Murch: Whilst Katie’s lyrics are very concise by the time we hear it, it does feel like an open diary when she’s sharing those songs. Were you much of a diarist? Eliza Hull: Yes, I definitely … well I’ve still got them all, goodness. There’s probably like 50 or 60 diaries and, unfortunately I’ve stopped. I’m not sure, I just can’t seem to either find the time or the energy. That’s probably a lie. I can find the time, you can always find the time. I guess I just haven’t found the right space for it at the moment. John Murch: Is it also a level of vulnerability now, as an adult, doing those kind of things? Particularly in this online world where you’re aware of where words can go and what they can do if they’re released, even though you’re writing them on a page and not on a blog. Eliza Hull: Yeah, I think you’re right there. I think we’ve become too aware of what we’re writing, potentially. When you’re a teenager you have to write, there’s no choice. You have to get that out because you’ve got so much going on. Whereas potentially now I might have the mind space and, I guess when you grow up, you can clear those things without needing to write them down, but I really miss that. I think that I need to get back into it. I’ve literally kept buying new journals, like, “Aw, maybe if I get this journal I’ll write. I’ll get this one ’cause it’s got a purple cover. That’s definitely gonna make me write,” and I just haven’t yet. John Murch: You’ve got 50 tomes there, so 50 volumes so to speak of writing, and at any time have you delved into them for lyrical inspiration, or even just solace? Eliza Hull: Yeah, absolutely. A lot of them, that’s where lyrics started. I’ve even gone back and looked at something I’ve written years and year and year ago and gone, “Wow, that is actually how I feel right now,” and then use that. Absolutely, that’s why they’re great. John Murch: Is that a sense because you’ve buried it, or because it just is what it is? A memory. Eliza Hull: I guess yeah, it takes you back to that time, and then when you can also relate that time to now, that’s when it becomes … I feel quite poignant. That’s what it’s really there for, isn’t it? John Murch: We’ll get into more songwriting very soon with our guest Eliza Hull, but you moved to Melbourne, as mentioned, at the age of 18, which I’m sure was either very, very scary or the most exciting high adrenaline thing you ever did. Eliza Hull: Both. I remember packing my car and I left at 17 ’cause I started school early, so by the time I had finished grade 12 I was 17, and really it’s quite young 17, when you think about it. I remember just packing my car just with everything, and I have Sheryl Crow, you know that song ‘Every Day is a Winding Road’? Put that on for a while, drive down the Hume Highway, I was so excited and ready for freedom and to become an individual away from my family. Then, when I got there, yeah it was daunting. I didn’t have much money and I remember putting … I didn’t know how to cook and so I put a plastic plate in the oven, plastic just dripped over the oven and I’m like, “What? You can’t put plastic in the oven?” But that’s how naïve and young I was. John Murch: For some of us it’s the alfoil in the microwave, which is even more spectacular light wise. You’re heading down the Hume Highway, was to an educational life or was it something else planned for you at 17-18? Eliza Hull: Yeah, I don’t think my mom would have let me go if it hadn’t have been that I was enrolled in uni. I was enrolled in a Bachelor of Media. My whole idea is that I’d become a journalist, potentially a radio announcer and then I realised I’m meant to do music, so deferred, and deferred and constantly kept deferring. I ended up completing it, but it was over a huge amount of years, so I ended up loads of people and then they graduated and I kept going, ’cause I kept doing it in part-time. Eliza Hull: I took a one-year break and then went back part-time. And that one year I played loads of gigs, I started a rock band, we played heaps at a venue called from The Espy, it’s just about to open actually. John Murch: I remember the carpet of The Espy, because one of my bands was performing there. Victoria bitter is one of the most stickiest substances to have in a carpet, but yes, I do remember The Espy. Eliza Hull: Yeah, and that was when you could smoke. Remember that? John Murch: Yes, I do remember that. Eliza Hull: Yeah, I’ve done a couple of things. First of all I did a rock band called Show Day Early, it was called, then fell in love with drum and bass, like electronic dance music. Started rapping and singing with DJs, which was very early morning stuff. John Murch: Was that the late 90s, or where was that at? Eliza Hull: I don’t know, that would have been about 2006. John Murch: That scene had definitely established itself and was going in that new direction. Eliza Hull: Yup, really big at that time. And then I was like, “I love acoustic rock music and I love electronic music, so how do I combine those two elements?” Then that was the band that I started and was called Describe-a-liza, that band went really well. As a live outfit it went really, really well. We used to have gigs that were sold out every week, one at The Espy every week, on at The Evelyn, and then we did launches High Five Bar and they were just always packed. I think it was not necessarily that the songs were great, it was just actually that it was really danceable and fun. John Murch: You had syncs on Saving Hope, Teen Wolf as well as Awkward and many others, when did that start, because I have a feeling you’re one of the first kids off the block when it came to that kind of thing, in getting your music synced? Was that the case, one of the first of the Australian ones to have their finger in that pie? Eliza Hull: I’m not sure. I’m not sure. I mean, that was through … really, I owe a lot to … Do you know Hayden Calnin? Eliza Hull: I owe a lot to him, it really started from his connections. He signed with a company called Music Alternatives in America, and then I did a duet with Hayden which was one of my songs called Ghost, and then he produced a lot of my records, like my album, then he’s … Yeah, I guess that group in America then heard about me through Hayden, that’s how all that kind of came about. John Murch: Did you get a sense that your music would ever end up in film or television? Was that one of the avenues you thought it would end up, in those early days? Eliza Hull: That was the biggest dream for me, and that band that I was just talking about, Describe-a-liza, we did a competition and there was a guy there that had done a lot of directing for film, and I’ll never forget he said to me, “That is definitely where your music is going to go.” And I remember thinking at that moment, “Yeah, I think he’s right. That’s really where I want it to go,” and a big dream when I saw that on TV. It was like, “Wow, that’s all your 15-year-old dreams have come true,” and now I’m writing music for a feature film, which is incredible. John Murch: I that still under wraps? John Murch: Okay. Can you give us a sense of what sort of music are you writing for it? Is it score music? Is it songs, per se? Can you just give us a bit of a vibe without saying what it’s for? Eliza Hull: I think a bit of both. John Murch: I’m not asking you to describe the film, I’m interested in what your part of it is. Eliza Hull: Yeah songs, but then yes, I guess score elements in sense. They’ll be more instrumental pieces that I would normally not do, and little elements like little drones and electronic sounds that are there to bridge the scenes together. John Murch: Which gives me a sense that you’re going to be hands-on soundwise in what you provide with the film. Your music is actually a forethought as the scenes are being done, is that the case? Eliza Hull: Yeah, exactly. Yeah, that’s right. Yeah. John Murch: That’s really the next part from getting a sync? Eliza Hull: Yeah, I guess. And I’m trying to … I used to be just I’d compose on piano and sing, and now I’m trying to take on some of those roles that potentially a producer used to take on for me, like getting to know recording software and getting to know how to write using all different synths and sounds. John Murch: If it’s okay with you, I want to refer to an article that you wrote in April of 2018 regarding disability from the age of five. Are you okay to talk about this? Eliza Hull: Yeah, it’s called Charcot-Marie-Tooth. A lot of people think when you say tooth that it’s your teeth, but it’s nothing to do with your teeth. That was the name it, and they’re the three founding French doctors, so their last names was Mr. Charcot and Mr. Marie and Mr. Tooth. It’s a nerve disorder, it’s in kind of like the MS family. Basically that your peripheral nervous system, there’s holes in the myelin sheath, this is all technical terms, but they’re not sending the right messages to your brain. It can affect people in very different ways. Eliza Hull: For me, it affects me, I walk with I guess you could say an unusual gait, I need rails to get up stairs, I fall over a bit, opening up jars is hard. My legs are freezing, even on a summer’s day. Yeah, they’re the kind of symptoms and, for a very, very long time, and I think especially in the music industry, I just had never talked about it and I’ve hidden because I thought I needed to. When I’ve ever met someone like a booking agent or a potential manager, I’ve always made sure that I was sitting down so they didn’t see me walk. Eliza Hull: A lot of my audience hasn’t known, so I’ve made sure that I’m always on stage when the curtain opens, or that I don’t walk around much. I guess yeah, it was just a coping mechanism, and just thinking that that’s the way to go with it. John Murch: You’ve also said in that piece that you’re thankful and proud for having a disability because it gives you a chance to own it, and you want the music still there, of course, and that’s why I want to move on soon to speak for itself. And were you speaking more about music in the moment? I want to know how much for you, you want to see yourself as a musician versus advocate versus how does then fit into your narrative? For example, I saw a Rudely Interrupted and Tim Russo backing you regarding a performance on Q&A. Those kind of spaces you’d like to now claim could be part of? Eliza Hull: I think the most important thing that we’ve got to realize is that, for instance, we’re watching a film and we see a disabled actor, right? Why does the story have to be about that person that has the disability in terms of how they got that disability, or that it’s tragic? Why can’t it just be that person with a disability is a murderer, or a jealous wife, or an athlete or I don’t know, I’m just thinking different characters. John Murch: A dectective looking out a Rear Window or something? Eliza Hull: Yeah, why does it always have to be about the disability? Why can’t it be more about the person just having a disability and then it’s the other space, that’s where I really want to go. I want to be proud of it. I want to talk about it, but I want to be a musician. I want to be a musician with a disability. John Murch: How do you be proactive at the same time as not falling into that rhythm that society has decided, well this is how it’s gonna be. If you want to talk about your disability, then you’re disabled and a musician. Eliza Hull: Yeah, well I’m still trying to work that out. I guess it’s just about time, and I’ve only just started talking about it. I guess every time I’ve done an interview since then it’s definitely been one of the questions, which I’m okay with. I think that’s great. I think the more we talk about disability, the better. These conversations need to happen. There are also other spaces that I’m working in that world. At the moment I just got a job with the ABC and I’m making a podcast series for the ABC about disability. I want to write a book, I definitely want to write a book. Eliza Hull: I guess they’ll be other ways that my disability is at the spotlight, whereas with my music, yeah, I guess it’s my music. John Murch: Just final question on this and, by all means, if you wish to bring the issue up again I’m happy for you to include it in the conversation, ’cause that’s important. You wrote also on the ABC’s Ramp Up, “Sometimes it’s easier to ignore a part of yourself out of fear.” Now, that’s not just in disability, is it? That’s in all aspects of revealing ones self? Eliza Hull: Yeah, and it is easier. That’s a good question as it is, yeah. It feels easier at the time, now that I’ve actually spoken about it, it’s easier. Now I had a couple of gigs recently and it was really nice just knowing I could walk into the space, and I knew that the people that were a part of the show had been reading about it online. Yeah, it was just like, “Yeah, this is great. I don’t have to hide.” Even though I probably never have to hide I felt like I did, and so now I can just walk in front of people and it’s okay. It’s been really good for me. John Murch: We’re currently in conversation with Eliza Hull. She has been named the inaugural winner of the Regional Storyteller Scholarship 2018, six months in Bendigo, I think, is part of the prize, the award, the prestige. Just being a storyteller must be exciting for you, but can you talk to us about this? Eliza Hull: I had this idea, I had been reading this book called The Divided Heart, which is a book by Rachel Power about being a mother, and being a creative. In that was Clare Bowditch and a lot of incredible musicians, and actors and storytellers, and it was their interviews with this artist telling how they balance creative life and being a mother. My idea was to be inspired by that and to tell the stories of mothers and fathers with disabilities, and to do it in a way that isn’t about the issues, but instead is just accurate representations of their personal home life so that we get a real sense of who they are, and by knowing these people, some of these stigmas that people may have about these people will be lost, that’s my hope. Eliza Hull: I had that idea, and then when I saw the Regional Storyteller Scholarship I went for it with this idea, and yeah, they chose me which was incredible. It’s now going to be an eight-part audio series. It’s gonna be on Radio National’s Life Matters, and then turned into feature articles online. I’m going in between working from Bendigo and Melbourne at the moment. John Murch: What’s the biggest challenge you’ve been finding, or have found, of being a parent with a disability? Eliza Hull: Probably more of the public response, without saying names, but some family members potentially being worried about how I would handle it. Then also, when you’re down to the street and your daughter falls over, and she’s at the age now where she’s three-and-a-half and I can’t carry her, and she’s crying, and everybody’s like, “Why aren’t you carrying her?” But they don’t understand that that’s why, so those kind of looks that you get. Or I remember when she was a one-year-old and she was really wanting me to hold her, and I walked into the supermarket and fell over. And yes, I guess it’s those public looks that you get, them wondering what’s going on. I think that’s, in a sense, one of the hardest. John Murch: Through that, do you look ahead at the times where you’ll be able to share the narrative with her and she’ll be able to encourage and support? Eliza Hull: Yeah, absolutely. That’s my hope. We definitely talk a lot about disability in this house, and she’s three and she knows all about it. That, to me, is great. I feel like she’s really aware of disability and people with disabilities, and we have these conversations in our home. I hope that that will make her proud one day, definitely. John Murch: Speaking about your … I believe you’re working on some children’s music, may be on hold with this current project you’re doing in Bendigo, but talk us through, if you can, about what this is about? Working on some children’s music with an Australian author. Is this top secret? Eliza Hull: I think it kind of is actually, unfortunately. John Murch: Oh, Mem Fox, great to know. Eliza Hull: Very similar, similar, yup. It sounds really silly for it to be top secret, but yeah. John Murch: A lot of top secret stuff happening. It’s kind of cool. Eliza Hull: I know, it’s my only top secret. Eliza Hull: Yeah, they’re a children’s author, yes. John Murch: … but you’re working on some music to go with that. John Murch: … this combo to come about. Eliza Hull: Yeah, exactly. And she’s really keen to do it. We don’t know how it’s gonna work, whether it’s gonna be a CD that you get in the back of the book, or sounds that you push throughout the book, but yeah, it’s gonna be more for a young teenage audience. John Murch: Whoa. Mind blown. Sounds you push. Interactiveness. Eliza Hull: Yeah, potentially. Yup. John Murch: Okay, I don’t want to push you any more about that because, obviously, I don’t want to get you in trouble. But speaking about books, and you’ve kind of mentioned already, but I’m gonna just throw this quote back at you and you can shiver, or shake or respond accordingly. “I’m gonna write a book.” Now, everyone says they’re gonna write a book, where are you at? Eliza Hull: You probably read that, it would have been me talking about that I wanted to write a book with the idea I’m doing now, so that’s the parents … Yeah, I was gonna go out and interview parents with disabilities and talk about my personal story about being a mother with a disability. That probably still can happen after this series comes out. Yeah, it could potentially be turned into a book. But, on top of that, I still want to write some sort of personal story. Yeah, I’ve got a lot of stories to tell, without saying too much, but I feel like that’s something I really want to do, I just don’t know when. I really want to do it one day. John Murch: What’s been the most exciting thing about releasing your music, EPs, albums and the like, up to this point? Eliza Hull: Hearing what the audience thinks of it, getting those messages. You know the feedback where you get that one email that says, “You know, you helped me through that time.” That, to me, is what it’s all about, yup definitely. That’s the most exciting part. John Murch: Your collaborator has been Jono Steer for the previous releases, including the single, Hard Way. What’s that collaboration like? What’s the professional chemistry, let’s say? Eliza Hull: We’re just really close friends and I trust him, he puts in a lot of hard work, more than he needs to, and he cares a lot. Yeah, I think having that trust and that friendship makes it definitely more enjoyable and worth it. Yeah, we work long hours together, so to be able to get along is, for me, the key, and we do. John Murch: … released in September of 2018. You felt there needed to be a change. How did you make music the catalyst for that change? Or was music not involved initially? Eliza Hull: Yeah, the change as about growing up for me, and moving away from Melbourne and slowing down, and I feel like the music needed to reflect that. Yeah, in it being slightly less electronic and slightly less busy with not as many layers, which you’ll find in some of the next tracks that I’m about to release. It needed to reflect that change, and so it did. John Murch: When you look at the material that you put into this EP, is it giving you solace at the recording studio stage, or do you think when you perform it again, and again is where the solace will come from, the moving on? Eliza Hull: Yeah, the performing and the moving on, definitely. Even the finishing of it and the closure of that is where I get that from. John Murch: It was recorded live with a band. My understanding is that it was recorded live with a band in a studio at the Newmarket Studios. Eliza Hull: Having five of us in different little individual sections of the studio, in little booths, and then just literally just performing it live. Which, yeah, I feel like you get something real about it through doing it that way. That’s what I wanted to try and capture. And also, it’s so much quicker. Instead of sitting there for months, and sometimes even years, and just trying to perfect the one sound over and over, or an electronic beat. It is so time-consuming, and I actually just realised that I didn’t … For this record I just didn’t have the space for that, so that’s one of the other reason I did it like that. John Murch: Is there some blemishes on this record that you’ll come to love? Because it’s recorded live. Eliza Hull: Yeah, yeah, definitely. I was just listening to some of the final mixes just before I spoke to you, and you can hear the guitarist breathing. Yeah, you can hear him breathing and I like it. It makes it human. John Murch: Yes, well some people put heartbeats in their recording. I had the pleasure of speaking with Tilman Robinson, the composer, he puts things like that obviously into his recording, and that’s obviously things like Deer Heart was one of these releases that relied on that. John Murch: We touched on it earlier and I want to ask directly this question. Is there a writing space for which this material was written? Was there a desk, was there a holiday retreat that this material was written at? 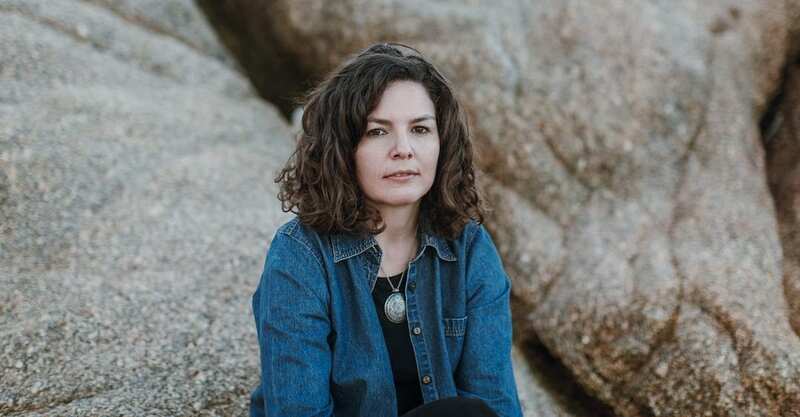 Eliza Hull: It was all written here in Castlemaine, pretty much when I just moved here, and I’ve got this little studio out the back of my house, and it’s got my piano in there, and my organ, and yeah. That was where I wrote all of the EP. John Murch: Could you possibly give us a picture of the EP and how it forms it’s art? Eliza Hull: One’s called Valentine, which was … I love it, because when you think of Valentine you think of a relationship love, to be somebody’s Valentine, but it was actually a play on that word in that my daughter was born on Valentine’s Day. It’s about her, but it’s like a dream. It’s a song that takes my daughter and I through the snow, meeting her and some of the lyrics done in a poetic way, but some of the lyrics are actually quite literally, where I say, “I can you hear you calling my name in the dead of the night,” that actually is the literal since when she was a baby and growing up, she was calling my name. Eliza Hull: But I like that that people may relate to that on other ways, and it might be more about relationships for them. John Murch: Have you, as a mother-daughter, experienced the snow yet? Eliza Hull: No, but I want to. I was actually just saying that I really want to go the snow. Hopefully this season, ’cause it’s right near where I grew up in Albury Wodonga. John Murch: Track number two. Eliza Hull: Going Soon, literally about going soon, about leaving the city and moving away, and feeling a little bit torn by that decision, and hoping that wasn’t going to … You know you have a lot of fire and excitement when you live in the city, and it was just like looking back and hoping that by moving away I wasn’t going to lose that. John Murch: When you arrived in the country, what was that first feeling you got from arriving in the country? Eliza Hull: I think I was a little bit scared that I was gonna miss out, I think I miss out on gigs and life in Melbourne, and miss out on my friends but I haven’t regretted it at all, and it’s been just really good for me and been good for my writing, and yeah, I’ve loved it. Made great friends here, and there is such an art culture here as well, so I haven’t felt like I’ve missed out. Eliza Hull: Yeah, I remember when I first sat in this house and just felt, I guess like still and peaceful would be the words that I felt. John Murch: A healthier lifestyle though? Eliza Hull: Definitely a healthier lifestyle, yeah. John Murch: You know, from food upwards, fresh air and everything else? Eliza Hull: Yeah, and even just mentally, you just have more space. It’s great, yeah. Needed it. John Murch: Cut number three? John Murch: I know, it’s about VHS videos, and make sure you rewind before returning them. That’s what it’s about! No it’s not. Eliza Hull: That’s kind of what I wanted the feeling to be like. There’s a little bit of a sense in there that kind of gives that. John Murch: What was your first VHS do you think? John Murch: Is Rewind a dark song? John Murch: And the formulation of what those memories have made you become? Eliza Hull: Yeah, absolutely. Finding closure in that. John Murch: We’re currently in conversation with Eliza Hull. Let’s talk about the film clips, a conscious decision of what the visual representation of your music would be, particularly with this new EP and where you want to take it? Eliza Hull: I don’t know if you seen the visuals of the front cover of Hard Way, but it’s of these little houses. That’s one part of it being visual with the EP, so you’ll see when the next single comes out it’s a kind of alteration of that first artwork, and it’s to represent … The Hard Way was set in the city, so all these buildings are like the city life and then things gradually change and it becomes more country life and then, right at the end, it’s a one tiny house and that’s where I disappear to. Eliza Hull: The Hard Way clip where I have the brides in the back of the car is also a play on that, in that you have these visuals of your life that you’ll get married, and settle down and it’s a play on that and realising that person that I thought he was, he really wasn’t. And we didn’t end up getting married, and yet that element still haunts me. I feel a lot, and I use the past to write about and so, by looking back, I go back to those times and so therefore that’s how it still carries into my present. John Murch: You mentioned that we moved out of the city but, at the same time, the title is How We Disappeared, which would suggest that there was a separation between the city and retreat? Eliza Hull: Yeah, so now I live here with my partner, how we disappeared is him and I, how we left. Yeah. John Murch: It’s actually more positive than what I was thinking? John Murch: You’re in a happier place now than you may have been from the material from which you’re currently sourcing for the release? Eliza Hull: Yeah, definitely. Absolutely. There’s one song, that’s the next song, it’s called How Do I Get Back To You. That’s actually about my partner and I.
John Murch: ‘Cause now we got to number four, and this is the happy place, isn’t it? Eliza Hull: It is. Just realising that relationships are not always easy, but when they’re worth fighting for, they’re worth fighting for. You just go up and down and being okay with that. John Murch: I had a conversation with Kathleen Mary Lee, and she was suggesting if she was ever happy she’d never be able to write again. Does happiness mean that you’ll be limited in your writing ability? Eliza Hull: No, not for me, ’cause I just go back to the past and sort all that out. The pasts still affects me, I still dream about the past. I guess I don’t forget it, and it still lingers for me and I’ve had a lot of experiences that I can draw upon, still so many that I haven’t even touched on. John Murch: Is there a stack of songs that you’re saving for an LP? Is there a particullar stack hidden away? Eliza Hull: Yeah, I’ve still got lots that I can draw upon, and I’ll definitely do an album. Potentially the next one, I’ve just applied for funding for an LP, so we’ll see. John Murch: Is that more conceptual as well? Is there a concept that you want to dive into for an album over an EP? Eliza Hull: I probably want to touch on more about, not political stuff, but more social stuff. I’d like to comment on … I love listening to Camp Cope and what they’ve comment on about gender diversity in the music industry. Jen Cloher is another one that I really love, and she writes a lot about stuff that’s going on in the world and her community. I think it’s really effective. I think it really lets you feel it when you hear it sung. John Murch: When you first discovered her, and how she fits into that musical journey? Eliza Hull: Yeah, my current partner introduced me to her, and fell in love with her style and her songs, and I love when she … Did you hear when they paired up with Liz Stringer and Mia Dyson, and they did Dyson-Stringer-Cloher? John Murch: I did see that tour, it was fantastic. Eliza Hull: But I saw that live at the Eumundi Town Hall, and that was an incredible show, ’cause I loved all three of those singers. I’m a huge Mia Dyson fan as well. John Murch: What is in your studio space? What’s the vital ingredients that make up Eliza Hull’s studio space? Eliza Hull: Something living, like plants, candles, nice ambient lighting, my old piano that got shipped from my home town of Wodonga, that old lady that passed away gave me is sitting in there, an old church organ and now I’ve got heating in there as well, so I’ve got no excuses not to go out. John Murch: Eliza Hull, exciting time. You are the inaugural winner of the Regional Storytellers Scholarship 2018, you are working with a children’s author to do some music that you can’t talk about, you are integrating with a film that we’ll find out about very soon but, most excitingly, I guess from a personal level for you, it’s sharing some of those words from those 50 or so volumes with How We Disappeared, the EP. John Murch: Thank you very much for joining radionotes. Eliza Hull: Thank you so much for having me.